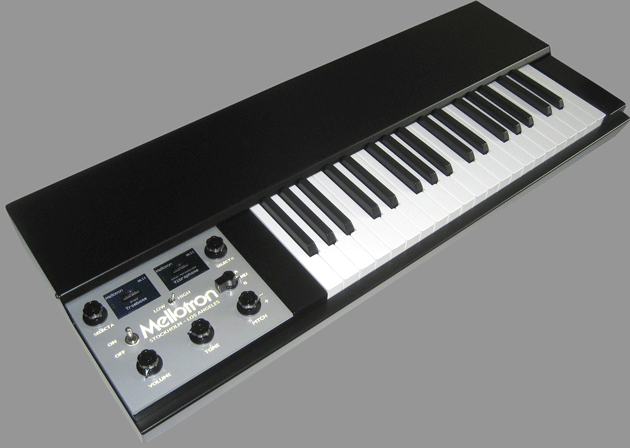 The M4000D MINI Mellotron was developed to meet the needs of keyboardists who want an even smaller and lighter Digital Mellotron. 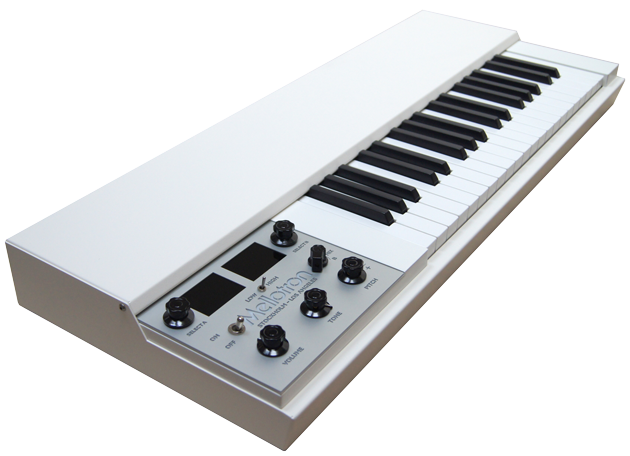 The MINI is also designed to fit perfectly on top of the regular M4000D to make a great looking dual manual Mellotron. Please write to markus@mellotron.com for pricing info of the M4000D Mini Digital Mellotron. Same features, sounds and front panel as the M4000D. High-quality semi-weighted Fatar piano style keyboard with velocity sensitivity. No aftertouch. Lightweight sheet metal cabinet, fits perfectly on the M4000D, total weight only 21 pounds (9.5 kg). Same output signals as the M4000D, but only unbalanced 1/4" connectors. The weight is 9.5 kg instead of 17.5 kg for the regular M4000D. Many thanks to my customers for all the kind words and feedback!! 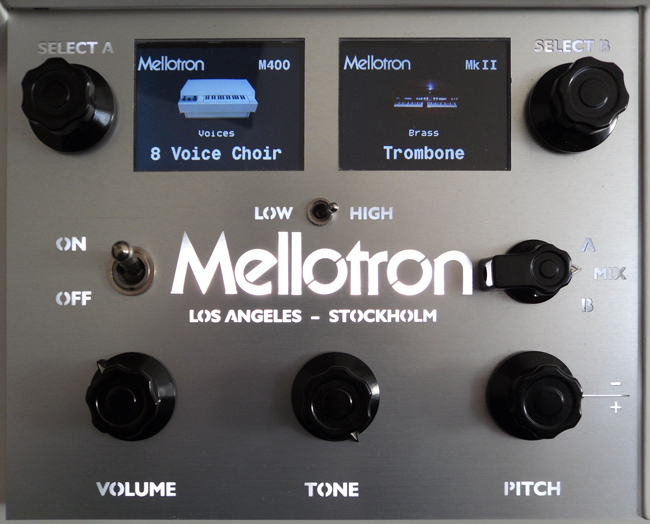 Here are some pictures of the digital Mellotron with its user interface and back view of the cabinet. As an option we now also offer the M4000D Mini in black.